Czech beads are one of my favorites to "play" with. That's because the manufacturers there have a long tradition of making different shapes of beads with the most luscious finishes and colors all for our beading pleasure! 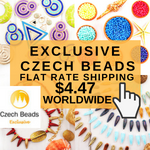 The Best Beads Shop is based in Prague in the Czech Republic and supplies a whole range of genuine Czech beads made by different companies out there. They are back with another wonderful giveaway! 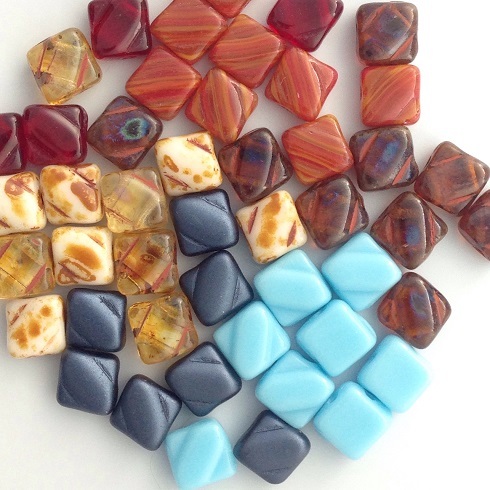 If you check out their store, there are so many types and colors of Czech beads, it is positively drool inducing! I have created a number of different tutorials using various beads from the store before (see links below) but this time round, dia or silky beads are in the limelight! I received some from Best Beads for review. Aren't the colors and finishes lovely? These beads are two holed but on the diagonal. Moreover, they are flat on one side but have a raised pattern on the other. This feature was distinctive so why not capitalize on them? What I did was group them in fours so that the raised portion formed a cross. The dia beaded earrings tutorial can be found here. What I was trying to do is use the Miyuki beads to simulate a metal frame around the four beads. I also couldn't resist doing a wire wrapped design either. The tutorial will also appear later this week. 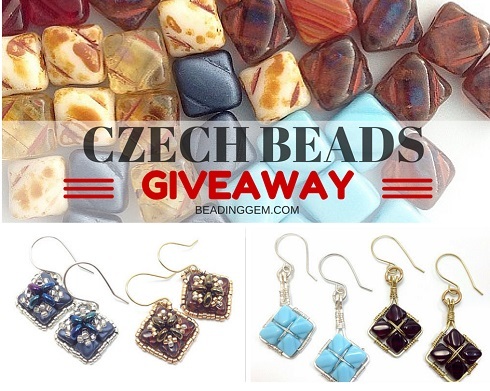 If you'd like to win $50 worth of Czech beads from The Best Beads Shop, please make a comment below. Make sure you leave contact info below if you do not have an online shop or blog. It ends in a week's time at 6 pm EST Thursday, August 24, 2015 . I will pick the winner randomly and announce the results as soon as possible after. So be sure to leave a contact email if you don't have an online link or make sure you come back and check! Otherwise I will redraw in a week. Good luck! I used my iPhone 5, the camera+ app and the Modahaus Tabletop Studio TS400 in artificial lights - 2 anglepoise lamps each equipped with 100W daylight CFL bulbs with a boost from nearby ceiling LED light strip. Most of the photo editing was done in app but some photos needed a quick touch to lighten and contrast quickly in Adobe Photoshop Elements. Using natural light is easier...trust me. 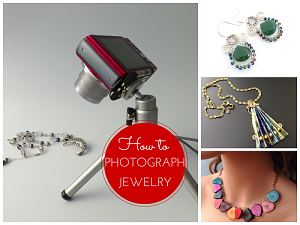 Click here for more information on my How to Photograph Jewelry webinar. 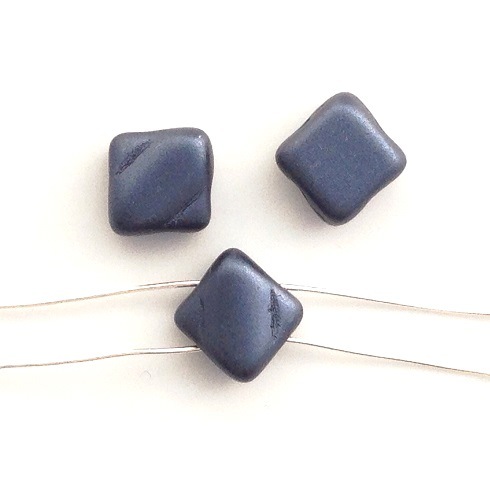 I love the square shape of these beads! They will make very distinctive jewelry. Thanks for the great giveaway! Those are gorgeous. Would love to win some. One can never have too many beads. Thanks for the chance to win. So sorry I missed the deadline for this contest. I would have Loved to win the Czech gift certificate! These beads are awesome and I love working with the different textures, colors and finishes. I love your tutorials and they often spark ideas for something new! Thanks for all you do. Your blog is fantastic. You did not miss the deadline. My bad! Have updated the correct deadline for this giveaway. I love Czech beads. I also like you wire wrapped earrings. Great giveaway! I love them. Would be happy to WIN! Glad to know about these! Love Czech beads, thanks for the opportunity to win! I'm a subscriber to your blog. Thanks!!! Hello ! Indeed those beads are very original , so I am trying my luck for an opportunity , I am a follower and wuld love to win ! Czech beads are definitely the very best! It being my ancestral homeland, I've wanted to travel there myself to shop. But that has been impossible. Thank you for the opportunity to win. I am so excited about this giveaway! The beads are gorgeous! The colors and finish on the Czech beads are so varied and gorgeous they can create a fun and flirty look or a sophisticated and elegant look depending on how they are used. 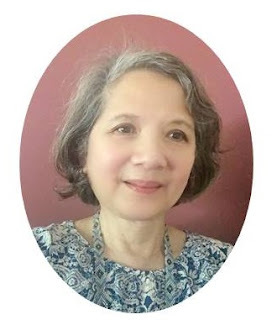 I am a long time blog reader and enjoy your plethora of articles! I have only worked with Czech glass beads one time, and they were these crystals and I forget the name of them now. But, they were so pretty and made the piece I was making just pop.I would love to win this fabulous giveaway. It is amazing to be able to get them direct from the Czech Republic. Thank you as always for the wonderful posts, the awesome jewelry that you make, design and show us, and the giveaways you are always doing. I would love to win these beads... so many design possibilities. As you said in your post, the beads are beautiful & offer so many possibilities, including the 2 designs you posted. I just checked out their Etsy shop & they have so many beautiful beads for sale. I'm a blog subscriber & follow you on FB; thanks for all the hard work you put into sharing such wonderful information with all of us. Thank-you for this giveaway of these BE-A-U-TI-FUL beads! And thank you for all your great ideas and instruction! I have been very curious about these beads....saw some last week in a piece of jewelry that took my breath away. Since then I've been checking out shops that carry them and drooling over the colors. No money now for more beads so it would be great to win a "starter package. I'd love to try working with them. These style of beads are fabulous. Thank you for introducing me to a new store! Thank you for that and the opportunity to win. I love Czech beads. Best Beads is a great shop. I follow on bloglovin, pinned, tweeted, email, g+, and facebook share. Gorgeous beads! Would love to win! Love these beads. I hope I win. I follow you on FB and twitter. pined it also. I love Czech beads, and the orange beads in your picture are just yummy! I subscribe via Feedly. Oh the things that I could do with these beads. I especially like the diagonal holes. Love what you've done with these Pearl! Also love Czech beads as they are consistent sizes and shapes(unlike some cheaper ones), but haven't gotten around to trying these ones just yet-would love to win them to finally try them out! I'm a subscriber and blog follower, and can be contacted via retro-grrl@hotmail.com-fingers crossed! Would love a chance to win! I use Czech beads for their unique shapes. Forgot to write thanks to you and best beads shop! Going their now to look at their beads! I love czech beads. They offer so many shapes, sizes and colors. I hope I win. I like all the shapes, colors and sizes that Czech offers. I would be thrilled to win. Keep up the great bead designs. I love to play with Czech beads too! So many shapes and finishes, they are absolutely drool worthy! Thank you for the giveaway! The colors are amazing. Always have loved Czech beads. And I love your site also. Wow! People are sure eager to win this aren't they Pearl! In the last few years the Czech bead makers have come out with a plethora of bead shapes, all of which are fantastic. I love the Superduos and wish I could purchase ALL of the new shapes that have come on the market. Still it is sooo hard to beat the beautiful and original Czech Firepolished beads, with their lovely facets and finishes they are like precious little gems. Love me. Always happy to read your emails and blogs and happier to win. Love these, thanks for the chance to win. WOW! such beautiful beads - would love to win! Thanks Pearl. I love your giveaways! I am a blog subscriber. What a cool giveaway. I've also bookmarked the store. Gorgeous, I love the wire wrap earrings! Would love to try. I did not know you have a FB, going to check that out too! I LOVE all Czech beads but I especially love the shapes of these!!! Here's wishing me LOTS of luck to win some Czech beads!!! i would like to try these beads in my creations. Would love to work with Czech glass beads, so beautiful and diverse! And the store carries quite a big variety of them. I'm a blog follower. Great idea for using the square beads, thank you! Pearl I'm pretty sure these czech beads would look great in my next project :) I enter all your giveaways and I know one day I will win :) Thanks for your giving us these chances and thanks for your information we gather on your page. Good luck everyone! Pearl those are so pretty. I have use for the turquoise one's right now! Thank you! I go absolutely nuts for Czech Beads, all of them. I just can not afford all of them. So this would be an opportunity to get a bunch more beads. Good Goddess, I would love this sooooooo very, very much. thanks for offering this prize up. Not holding my breathe, yet waiting in anticipation. Those square beads are unusually great. Would love to have a play with them. Never hurts to try right, lol! Their beads are lovely and different and they make me want to play with new designs!! Thank you for the opportunity Pearl! Pinterest and Facebook are next!! Love the designs you came up using the square beads. The beads are so different, I love them! Thanks for a great giveaway! Thank you for the opportunity to win! I'm a blog subscriber & follower on Facebook. New at making jewelry, just love the czech beads, they speak to me, lol! I love, love, love Czech beads! 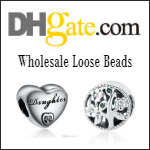 I'm going to "check" out the Best Beads shop right now! 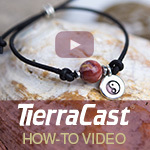 Hi Pearl, great giveaway! Ekaterina has some gorgeous beads in her shop. I have "favourited" lots of them! I follow your blog. Thank you for the opportunity to enter this contest!!!! I love working with Czech glass and have never tried the Dia beads!!! Thanks again for the chance to enter this contest!!!! I would love to win I checked out their etsy site and I love their beads. Thanks for the chance to win! These silky beads are gorgeous. I love Czech beads but I haven't these yet. I'd love to experiment with them. Thank you for the opportunity. Thank you very much for fantastic giveaway. I have shouted about this tempting giveaway on my Facebook Page, Aisha's Bead Jewelry. I've also liked your page, actually I did a while ago, much before this giveaway. Fantastic site. I am Beading Gem Blog Subscriber. I would love to win these silky beads! These beads would be great to win. Great offer! 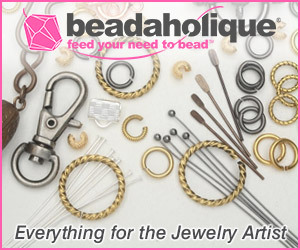 As a new jewlery fabricator I am trying to build my inventory of beads! This would be amazing to add and amazing to work with! Beads are not cheap so as a retired nurse my funds are limited. Great to have a chance at a giveaway. 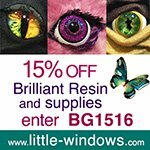 Thank you for giving me an opportunity to win this great offer! Would love to win these great beads to add to my limited at this time bead inventory! Would love at this opportunity! Wow! These are such beautiful beads, and will make such interesting creations! Thank you for providing a generous opportunity to win a sampling of these beautiful beads. For me, this would be a welcome gift, as a fixed income limits splurging. I wish for everyone to have a Merry Christmas and a happy & healthy New Year!